Britton Deerfield High School will celebrate Winterfest this week culminating in the crowning of the Winterfest king and queen Friday afternoon, March 1 at a 2 p.m. pep assembly at the Britton building. A dance in Deerfield takes place from 8-11 p.m. Saturday, March 2, at the middle school for all high school students. 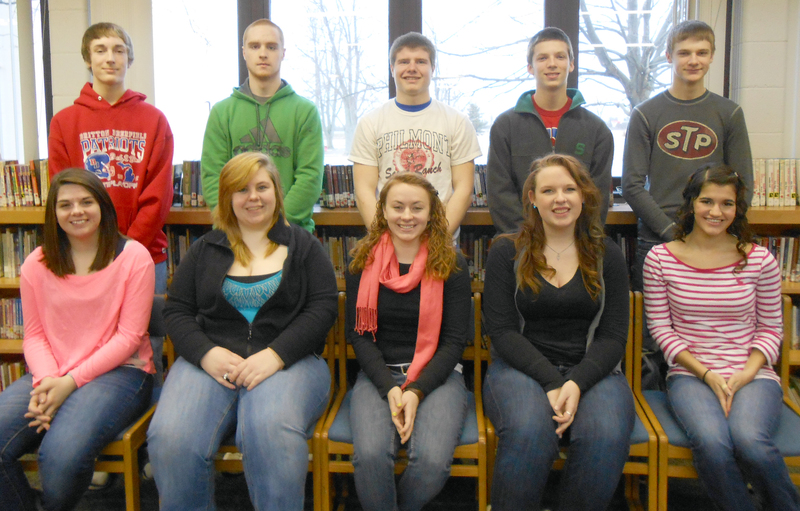 This year’s Winterfest court members are, from left back row, freshman, Hayden Ross, junior king candidates Josh Hitt, Ben Huff, and Garrett Burnor, and sophomore Levi Woerner; front row, from left, freshman, Emily Steuwe, junior queen candidates, Cheyenne Murdock, Andrea Frank and Riley Langmeyer, and sophomore Marisa Kimerer.